NO CARD OR MEMBERSHIP REQUIRED! WE PRICE EVERY ITEM AT COST, THEN ADD JUST 10% AT THE CHECKOUT! Product cost is determined by the expense it takes to buy and get it from our suppliers to the shelf. So, remember, all the prices you see on the shelf are at cost and will have just 10% added at the checkout! 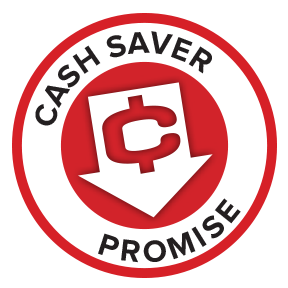 Cash Saver promises to keep your PRICES LOW! We keep our EXPENSES LOW! No costly advertising. 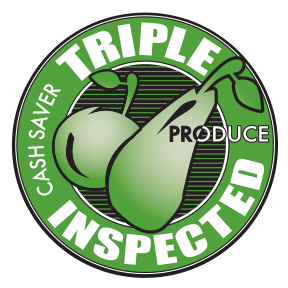 At Cash Saver, quality and low prices are GUARANTEED! YOU PAY COST PLUS 10% AT CHECKOUT! priced at cost with a 100% SATISFACTION GUARANTEE! If you’re looking for beef that’s consistently tender and flavorful, discover Black Canyon Angus Beef. Black Canyon Angus Beef is Grain-fed and USDA certified. 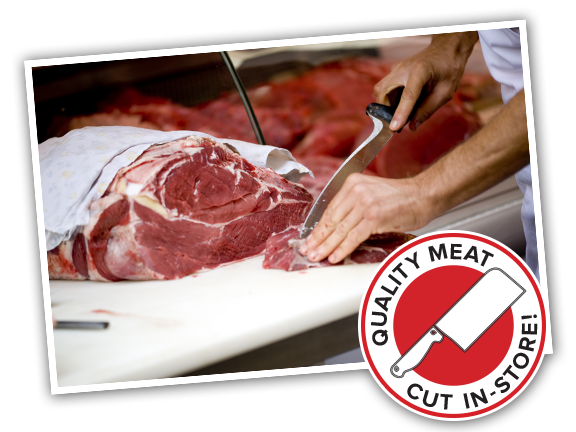 Cash Saver offers this one of a kind beef experience at a truly affordable price- because we believe that every hard working family should enjoy an exceptional cut of beef whenever they’d like. Sanderson Farms strives to be on the leading edge of quality control in our industry. Which is one of the principal reasons that we insist on formulating our own feed and operating our own hatcheries. We want to maintain as much of our product’s environment as humanly possible so that we can safely assure our consumers that the items they purchase are wholesome, delicious and, above all, safe. Unlike most other pork, Prairie Fresh Premium Pork monitors every step of the way from raising animals on our farms to making proprietary animal feeds to food safety in our state-of-the-art processing plants. This total control is part of the Seaboard Foods Quality Circle. We understand consumers have different lifestyles, priorities, and cooking preferences.